THERE was confusion in Port Harcourt, the Rivers State capital, on Monday when members of the public learnt that Ifeanyi Dike, the man who allegedly raped, killed and removed vital organs of an eight-year-old girl, Victory Chikamso, had escaped from the police custody. The father of the victim, Dr. Ernest Nmezuwuba, who was at the State Criminal Investigation Department when the suspected murderer and ritual killer escaped from police custody, said Dike took advantage of the darkness within the SCID’s premises to escape. Nmezuwuba, who spoke during a Port Harcourt-based radio’s programme, added that the suspect was able to escape because one of the policemen on duty on Saturday night identified as Johnbosco had unlocked the handcuffs for Dike to write his statement. The father of the deceased explained that Johnbosco did not handcuff the suspect after he (Dike) finished writing his statement, adding that the suspect fled while he was about to be taken into the cell. Nmezuwuba said, “We were there with the suspect in handcuffs. When we got to the state CID, there was no light in the entire State CID. I wrote my statement with candle; imagine a whole state CID (without light). Then Johnbosco removed the handcuffs from the suspect’s hands for him (suspect) to write his statement. “At a point, the boy (Dike) said he was thirsty and Johnbosco said I should buy pure water for him and I asked him (‘John; are you crazy? Is something wrong with you? Why would you ask me to buy water for a person that killed my daughter? Why would I buy water for a ritualist?’ And I told Johnbosco that it was none of my business. “Some policemen were at the gate with guns while we were at the charge room writing statement. After we finished writing our statements, Johnbosco called the IPO to go and put the suspect in the cell. The suspect was not handcuffed at that time. “They did not walk up to a pole when I heard hold am, hold am; he has escaped. Whether he jumped the fence or not, I cannot say because the entire place was dark; it was between 7.30 and 8pm (Saturday night). I now told Johnbosco that you know what you are doing. Nmezuwuba expressed disappointment in the police, accusing them of playing game with a heinous crime against humanity, even as he vowed that he would never allowed it to be swept under the carpet. He said, “My brother, I cannot understand this country; this must be a planned game and I must fight it to the end. They have to provide that suspect. The Rivers State Police must provide him while Johnbosco should remain in detention. 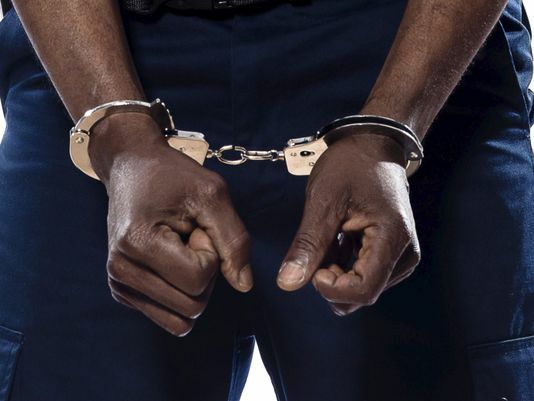 Dike, who had allegedly defiled, killed and removed the vital organs of eight-year-old Chikamso, was caught by a local vigilante, who immediately handed him over to the police on Saturday. However, the state Commissioner of Police, Mr. Zaki Ahmed, who was visibly sad and angry over the development, explained that the suspect escaped under the cover of the night and promised that the police would soon arrest him. Describing the incident as an individual negligence, Ahmed stressed that the police had deployed human and material resources towards ensuring that the suspect was apprehended. The CP said, “What I am saying is that it was an individual negligence that caused it. The escape happened in the presence of the complainant; that is the parent of the girl. The boy (suspect) escaped under the cover of the night. “But we are making every effort, every move and by the grace of the Almighty God, within a short time, he will be arrested. We are not relenting. We know that this is a serious problem; it can happen to anybody. “We are not relenting and by the grace of God, we will get him arrested. It is too bad it happened, but it is one of those things. Sometimes, things can happen this way.